For the past month or so, we’ve noticed significantly reduced performance and increased memory usage on the server, especially during peak times. I am unsure of what the cause could be, so over the next couple of weeks I’ll be trying a few things to investigate and possibly solve the issue. I will also be getting the long-promised update to Minecraft 1.8.8 and various plugins on to the server sometime soon, which may possibly help in improving performance. Please note that in an effort to help prevent server crashes, we have reduced the maximum player count on the server to 40. In the future, we may also consider reducing this limit further, re-instating AFK kicks, and/or increasing the number of server restarts per day. None of these changes have been implemented so far, but we will announce on the website if we do decide to go ahead with these policies. The admods had a productive discussion regarding the guidelines for A-Roads and B-Roads, and some concerns were brought up where some members were building B-Roads like A-Roads. To help clear up the confusion, _frozen has started writing up a concrete set of road-building guidelines on the MRT Road Standards wiki page. Note that the wiki page is still a work-in-progress, but even if you have the slightest inclination in building any sort of A-Road or B-Road, it is strongly recommended that you read this page thoroughly. A-Roads are the major arterial highways that connect large regions on the server. B-Roads are minor highways that connect with cities and towns directly. They typically provide a connection between an A-Road to a city or town. In addition to this, the “C-Road” designation will be officially discontinued. 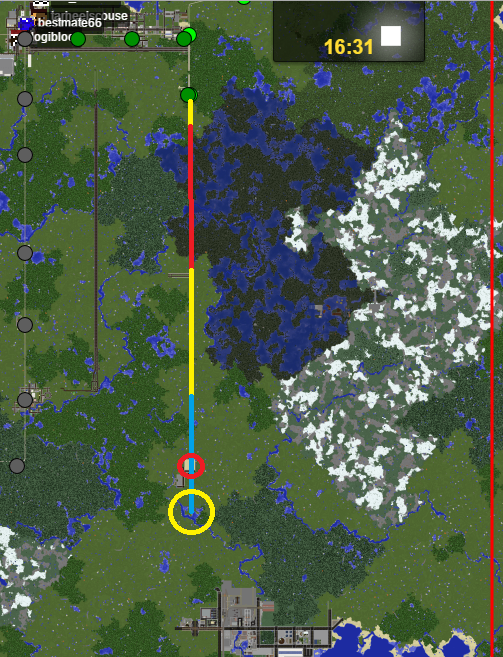 A-Roads and B-Roads will be the only types of intercity highways allowed on the server. However, note that towns and cities that are close enough to each other are still allowed to connect their own local roads together. If you are building a B-Road connecting to an A-Road, you do not need prior permission from staff to build the road. However, if you are building a standalone B-Road between two cities or towns, you must e-mail staff about your plan and obtain approval at the next GSM. B-Roads can only have ramps if they are within the limits of a town or city, or if they are connecting to an A-Road. Otherwise, build an intersection instead. Toll booths and gates are officially allowed on any road, with the condition that the toll gate must provide some sort of “fast lane” or “side lane” that provides unimpeded access through the gate. This is to allow uCars through in case the toll gate breaks down. Road tunnels do not require permission from staff before being built. The other project that was discussed was Just_robinho’s proposed extension of the Eastern Line south. There are still some details yet to be decided regarding the “hub” station where the Valley/Southern Lines meet up with Plains/Eastern lines, but approval has been given for extending the Eastern Line southern to that hub. Here’s an image illustrating this. Blue indicates elevated, yellow indicated ground-level, and red indicates underground. Also, please ignore the circles. Steve_Bob’s Town at XW6 has been granted to camelfantasy. Maldita at C70/M24 has been granted to HanSangYoon. Submissions for City Rank Promotion Batch #3 will be open from now until October 31st, 11:59 UTC. Candidates will considered during the following week, and the final promotions will be announced on November 7th. Finally, the November GSM will also be held a little earlier as usual, also on November 7th, 7pm UTC. The second batch of City Rank promotions has been completed. No Premier candidates were submitted again this time around, but please welcome our newest Senators and Governors! Feedback e-mails were sent to all candidates, regardless of whether they were promoted or not, so please check your inboxes for those e-mail if you have not yet done so. Also, a reminder that the next GSM is tentatively scheduled for October 17th. The next batch of City Rank candidates will likely start right after the GSM. 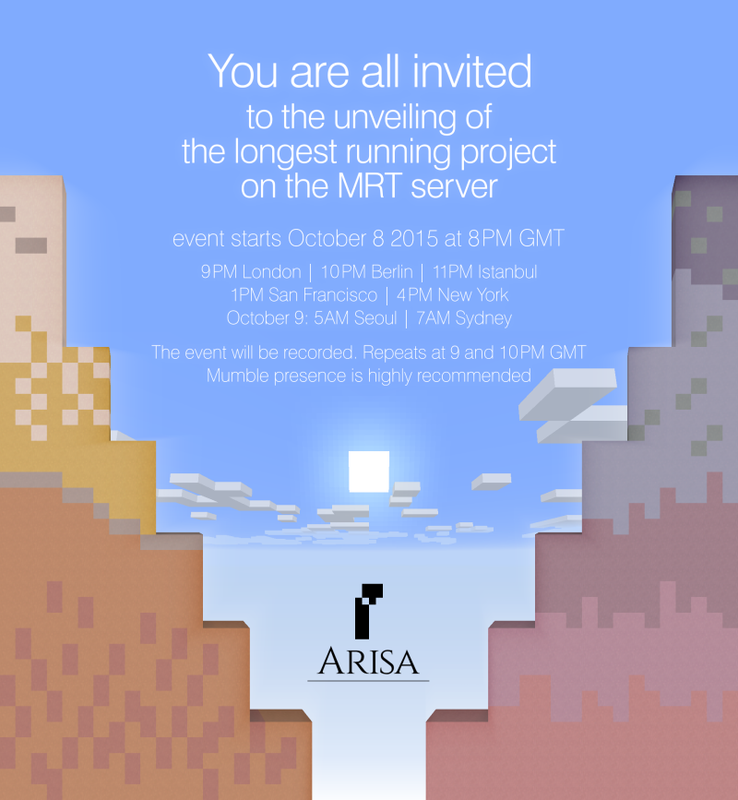 Finally, kekkomatic will be holding a tour of his completed city of Arisa tomorrow on October 8th at 8PM GMT, and you are all invited. More details can be found here.